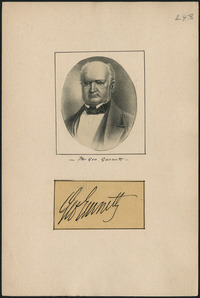 GURNETT, GEORGE, journalist, politician, and magistrate; b. Horsham or Lewes, Sussex, England, c. 1792, the son of George and Anne Gurnett; d. 17 Nov. 1861 at Toronto, Canada West. George Gurnett’s early life is obscure, but it is known that in the mid 1820s he emigrated from England to Virginia, where he was superintendent of a tan-yard and something of a radical in politics. He then came to Ancaster, Upper Canada, where some of his family may have already settled. After obtaining press and type from Albany, N.Y., Gurnett began to publish the Gore Gazette on 3 March 1827, with the motto “All Extremes are Error.” At first he corresponded with William Lyon Mackenzie, but they soon disagreed. 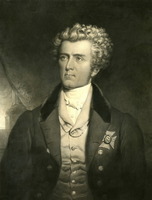 In late 1827 Gurnett supported the Tory Allan MacNab when he was charged with contempt by the assembly during its investigation of the “Hamilton Outrage,” in which Sir John Colborne was hanged in effigy. In 1829 Gurnett moved to York (Toronto), renaming his paper the Courier of Upper Canada; the first issue appeared in February 1830, and it soon became one of the town’s chief Tory organs. 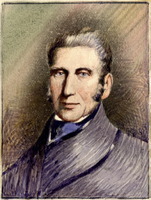 When Toronto was incorporated in 1834 Gurnett was elected a councilman for St George’s ward, and the next year became one of its two aldermen. Gurnett held this office continuously until 1850. From the first he played a leading role on the committees of council, and was one of the judges in the minor cases heard in the city court. He was almost always chairman of the finance and assessment committee and of the board of works. Gurnett formed one of a group of staunch Tories, which included George Taylor Denison, Thomas Carfrae, and John Craig, who vigorously opposed the Reformers when they had a majority in 1834 and 1836. 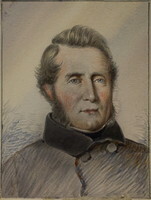 Gurnett helped Orange leader Ogle Robert Gowan* defeat Mackenzie in York County in the provincial election of 1836, fought on the question of loyalty. In January 1837 the Tory-dominated city council elected Gurnett fourth mayor of Toronto by a majority of 18 to one. The Tory Royal Standard jubilantly asserted that the “triumph of Conservatism is now complete.” Gurnett’s mayoralty, although marked by much quarrelling among the Tory councillors, saw the first amendment to the city’s Act of Incorporation, which improved the basis of assessment and established a two-year term for the council. But the city had to cope with the depression of 1837 and was forced to issue its own paper money because it could not borrow sufficient funds. Despite these problems some sewer-building and macadamizing of roads were accomplished; a second market, St Patrick’s, was built with the aid of public-minded citizens such as D’Arcy Boulton* Jr, who donated the land. Improvements were also begun on the harbour by a commission which included Gurnett and Hugh Richardson. In September 1837 Gurnett was appointed a magistrate of the Home District and shortly afterwards district clerk of the peace, an office he held until 1861. He sold the Courier in 1837 to Charles Fothergill*. Like Lieutenant Governor Sir Francis Bond Head*, Gurnett and the city council were ill prepared for the outbreak of rebellion in December 1837. At the end of October they had accepted custody of some 6,000 guns which, with their ammunition, were stored at city hall, unprotected. 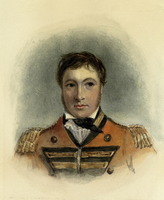 Although he did cooperate with James FitzGibbon in preparing for the defence of the city, Gurnett was not instrumental in the loyalist victory. 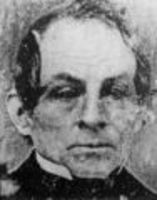 John Powell, who had played a dramatic role in the rebellion, defeated him in the elections for mayor from 1838 to 1840. The city election of 1841 was unusually vicious. The Reformers and moderates in provincial politics, including Robert Baldwin*, James Edward Small, and Francis Hincks*, did their utmost to get rid of Gurnett and the old corporation, whom they regarded as a left-over collection of inept Compact Tories. Robert Stanton, who beside Gurnett appeared as a moderate, ran against him in St George, but lost. As the Reform Mirror said, “We are left another year in the power of the odious, detestable corporation.” It was generally assumed that Gurnett would again be chosen mayor; however, Alderman William Henry Boulton* charged that he was renting a house to a brothel keeper and was therefore morally unacceptable. George Monro* was elected mayor by the council, defeating both Gurnett and Powell. Throughout the 1840s Gurnett was active on committees, including those connected with the harbour and wharves, gas and waterworks, and education. As chairman of the board of health in 1847 he displayed his usual energy in combatting the typhus epidemic. During this period he began to moderate his politics with the changing times. Breaking with his former Orange connections, he was physically attacked when he tried to stop the Orange parade in 1844. 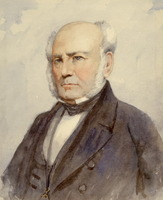 When the council again elected him mayor in 1848 his main opposition was an Orange leader, George Duggan*, who opposed him again unsuccessfully in 1849 and 1850. Gurnett also gained Reform support by refusing to sign a petition protesting the 1849 Rebellion Losses Bill. 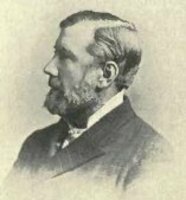 During his second mayoralty Gurnett continued to show his meticulous attention to the work of the city and its committees. He became a city representative on the permanent harbour commission established in 1850. After the devastating fire of 7 April 1849 he was chairman of the committee to rebuild the St Lawrence Market which chose William Thomas* as the architect. 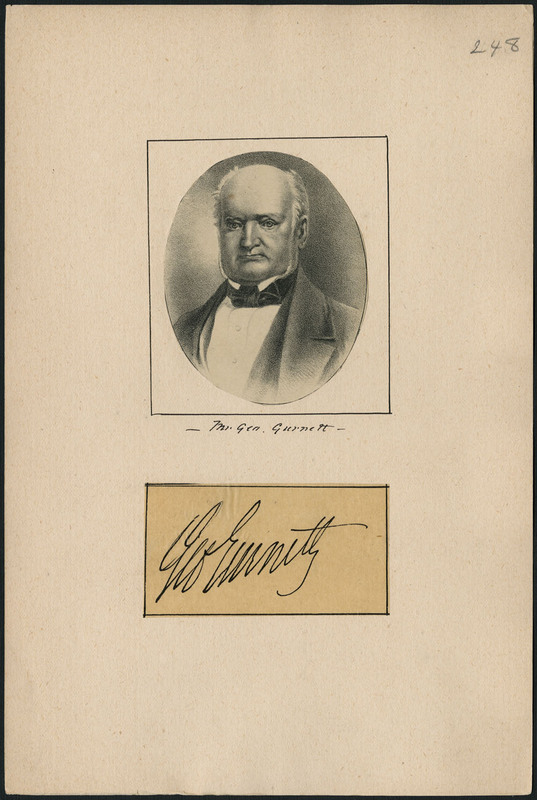 Gurnett sat regularly as a judge in the city court, and when the provincial government decided in 1850 to establish both a police magistrate’s court and a recorder’s court for Toronto, he was an obvious candidate for the first post. George Duggan’s candidacy for both jobs was endorsed by city council, but Robert Baldwin appointed Gurnett the first police magistrate. Approval of his appointment in the radical and liberal press showed how the times and Gurnett’s image had changed. He assumed office in January 1851, and for the next decade gave general satisfaction as police magistrate. He was also a member of the police commission established in 1858. Gurnett was not very active outside the council. While at Ancaster he had joined the Gore militia, and served as a major during the rebellion. He was a lieutenant-colonel of the sedentary militia when he died. A supporter of St James’ Cathedral, he was also one of the incorporators of the unsuccessful City of Toronto Gas Light Company in 1836. Gurnett’s first wife died in 1835 and in 1841 he married Catherine Darby of Trafalgar. At least six children died in infancy, but two daughters and his second wife were still living when he died suddenly of a stroke. 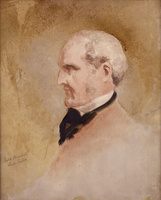 Although John Ross Robertson* regarded Gurnett as a “Tory among the Tories, a Church and King man first, last and every time,” his course in politics was somewhat circular, from an early commitment to reform, which had moderated by the late 1820s, to a high Tory stance in the 1830s, and finally to an acceptance of responsible government in the 1840s. These changes were perhaps expedient, perhaps a reflection of a gradual conversion to a more democratic outlook. As a conscientious and able administrator he helped give Toronto efficient civic government. City of Toronto Archives, Toronto City Council, Minutes, 1834–50. PAC, RG 68, 1, General index, 1651–1841, p.304; 1841–67, pp.287, 311, 315. PAO, Mackenzie-Lindsey papers, M. Crooks to W. L. Mackenzie, 30 Jan. 1827; William Wallace to Mackenzie, 6 May 1839; Toronto City Council papers, 1834–50. Arthur papers (Sanderson). Globe, 18–20 Nov. 1861. Mirror (Toronto), 15 Jan. 1841. F. H. Armstrong, “Toronto in transition: the emergence of a city, 1828–1838” (unpublished phd thesis, University of Toronto, 1965). B. D. Dyster, “Toronto, 1840–1860: making it in a British Protestant town” (unpublished phd thesis, University of Toronto, 1970). M. A. FitzGibbon, A veteran of 1812; the life of James FitzGibbon (Toronto 1894; repr. 1972), 197–209. Johnston, Head of the lake (1967), 77–78, 95, 154. Middleton, Municipality of Toronto, I, 169, 195–204, 211, 227, 247, 417–18, 444; II, 742, 791–96. Robertson’s landmarks of Toronto, VI, 190. Frederick H. Armstrong, “GURNETT, GEORGE,” in Dictionary of Canadian Biography, vol. 9, University of Toronto/Université Laval, 2003–, accessed April 19, 2019, http://www.biographi.ca/en/bio/gurnett_george_9E.html.